While many communities in North Dakota’s oil patch are seeing a slowdown as a result of lower oil prices and fewer drilling rigs, that doesn’t seem to be happening in Watford City. In fact, because McKenzie County and Watford City are the epicenter of the state’s oil activity, city and county leaders predict that 2015 will see a continuation of the rapid building of housing and commercial space that was seen in 2014. 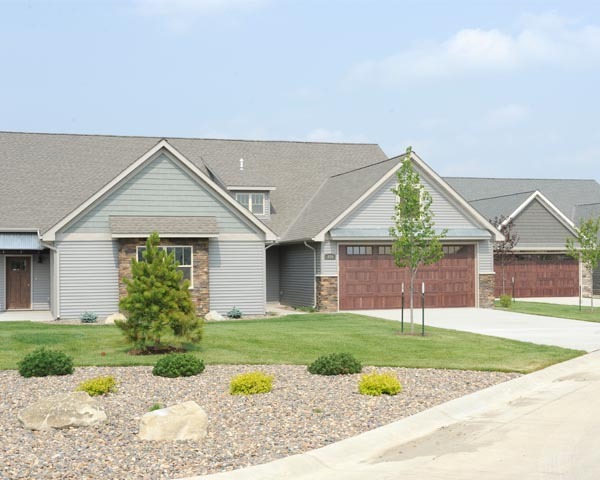 Watford City has experienced and continues to experience a thriving econom y, and many residents are drawn to this area for not only its career opportunities, but its high quality of living. Hometown pride, visionary spirit, and stronghold leadership all drive the residents of this progressive farming and ranching community, and all are factors in the continued growth. Watford City is seeing a great deal of both continued and new development taking place, especially in the east and south areas of town. In the South Park commercial and retail area in Watford City, Jiffy Lube is getting ready to open its doors in the very near future and a new car wash recently opened. And according to Williams, two new restaurants will open their doors in the new office building to the west side of the old Highway 85. One will be the Smiling Moose Deli, and the second one will be Jimmy’s Pizza. Not only is the south part of Watford City expanding, so is the eastern part of the city. In the Fox Hills Subdivision, east of the airport and on the south side of N.D. Highway 23, construction of the new high school and Events Center is currently underway. A new hotel, the MainStay Suites, is also under construction, and there are three new apartment buildings that are currently being constructed. One building has been approved for occupancy and the other two are not far behind it. To the far east of that same subdivision, three more apartment buildings have been permitted and are presently under construction. And according to Williams, footings were recently poured for the new First International Bank & Trust branch, which will also feature a coffee shop/brew house inside. And directly across from the Fox Hills Subdivision, three single family home foundations are in the ground and just starting to go vertical says Williams. Just west of the golf course on Highway 23, Williams also says building just started on some very nice duplexes. Ten of those duplexes are complete and ready to be occupied and two duplexes are still under construction. Further east, past the golf course is the Hunter’s Run Subdivision. It is seeing vast amounts of growth, expansion, and development. Williams describes Hunter’s Run as a mixed-zoning area with both commercial and residential zones. The Glen in Hunter’s Run was the first to have a multi-family building and there are six more buildings that have been constructed there. According to Williams, all of the buildings have been completed and issued certificates of occupancy. Williams says the smallest building there is a 29-plex building and they’ve been tastefully done. In another area of Hunter’s Run is 10 more apartment buildings. The largest is a 36-plex and the rest, according to Williams, are a combo of five and seven-unit buildings with most having garages. A certificate of occupancy was issued last week on one of the seven-plexes, and the remaining buildings are all still currently under construction. Two other parcels in Hunter’s Run, according to Williams, have multiple five-plex buildings, which are complete and ready for occupancy. And further north in the Hunter’s Run Subdivision, there are six single family homes – two of which are currently occupied and four that are in the process of being finished. And there are several duplexes that are all complete and ready for occupancy. Further east of town is The Crossings Subdivision. Williams says there is currently a four-story multi-use building being constructed there. The ground floor will be commercial and retail and the three floors above will be for apartments. Also in The Crossings, Feinberg Properties, a New York real estate agency, is in the process of working on another apartment project. According to Williams, Emerald Ridge is another subdivision that is experiencing extensive expansion. He says there are currently three 36-plex apartment buildings that are close to being done. And foundations have already been poured for three additional 36-plex apartment buildings in the development. Williams knows his job keeps him very busy most days, but he assures it’s been a very enjoyable job. He loves the opportunity he’s afforded to be able to get to go into all the buildings and see all the things he gets to on a daily basis.